Most modern high end transceivers come with a nice display showing you a bit of spectrum analysis. This bit of displayed spectrum can be very handy when looking for activity on one of the bands. Even more when you are active in contesting. I have been looking around for a new transceiver to replace my Kenwood TS-480HX and it’s formidable receiver. For some reason, I cannot part from this radio. So I found a solution by adding my own panadapter. For 12 USD and within 30 minutes, you can make one yourself. One of the reasons I don’t want to part from the TS-480-HX is its 200 W PEP output, too nice to nail a pile up. But also the easy way to remote control it using its control head and some UTP-cable. Especially in my case where the transceiver is mounted in the attic, separated 15 metres (50ft) from the shack. Now the TS-480HX does not come with an IF output for a panadapter. But for the price of about 12 USD and 30 minutes of your Saturday morning, you can make one yourself. At least if you have a PC or laptop. First of all, if you plan to do the same modification as I am, please take notice of the fact that making this modification in your radio is your own responsibility. Now let’s move on from the legal stuff to part 1, the tools & parts list. One RTL-SDR dongle (with R820T2 tuner) including the small antenna with MCX connector (for example from eBay). A 15 W soldering iron. A USB 2.0 extension cable. Serial cable of USB yo serial adapter. The most crucial step. 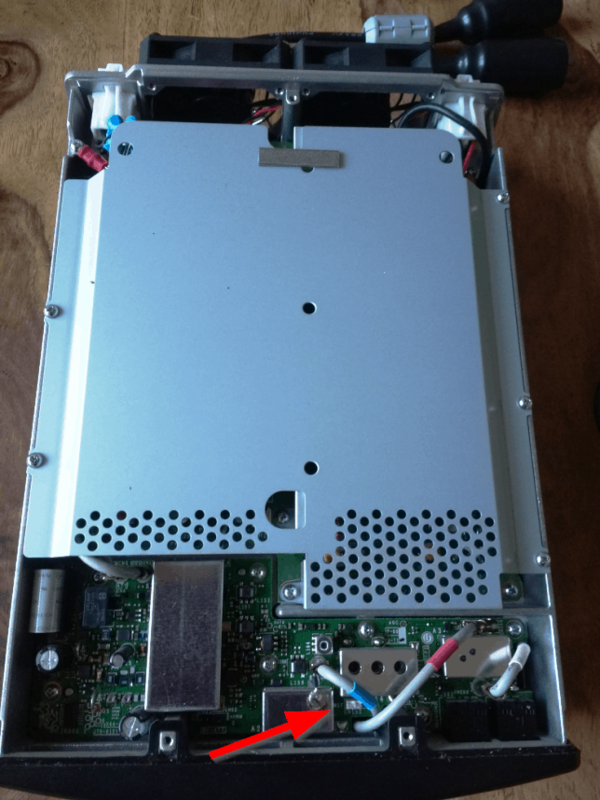 Open up your TS-480 by unscrewing the bottom lid. I advise you to carry a special bracelet connected to ground to provide a way out for static charges. When working on delicate electronics I always use a pair of thin cotton gloves. Kenwood apparently knew that someone eventually would need a panadapter. So they were so kind to provide a tap on the TS-480’s 1st IF stage. 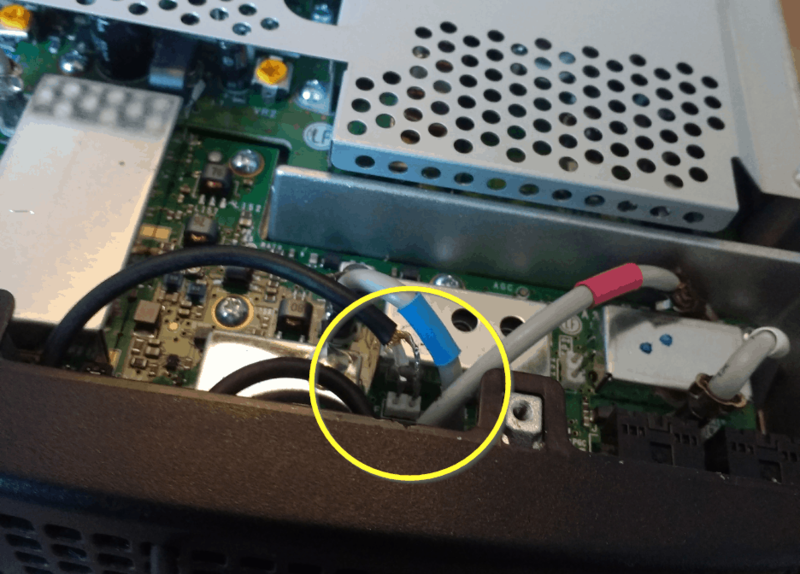 You can find it on the circuit board as two pins designated CN152 near the front of the radio. To create a tap, use the cable from the small antenna that comes with the RTL dongle. Just cut off the entire antenna. That leaves you with about 25 cm (10 inch) of cable. 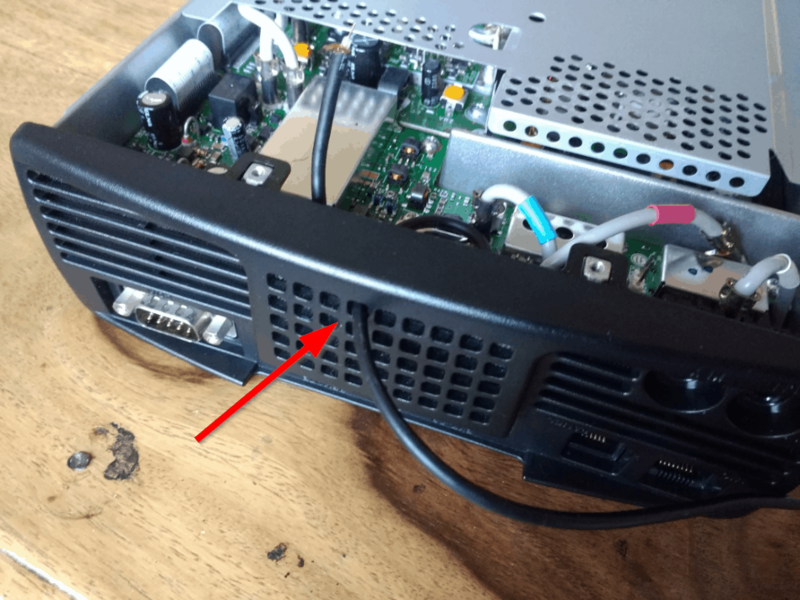 Put that cable through one of the ventilation holes in the radio’s frontside. Now to prevent strain on the cable and the IF, just tie the cable to the Kenwood’s metal chassis. Strip the outer insulation about 6 mm (1/4 inch). Solder the center conductor to the pin closest to the number 1 in CN152. Solder the outer shield to the other pin. I recommend you use a Windows 7, 8 or 10 computer or laptop with at least dual core processor and 2 GB memory with one free USB 2.0 or USB 3.0 port. 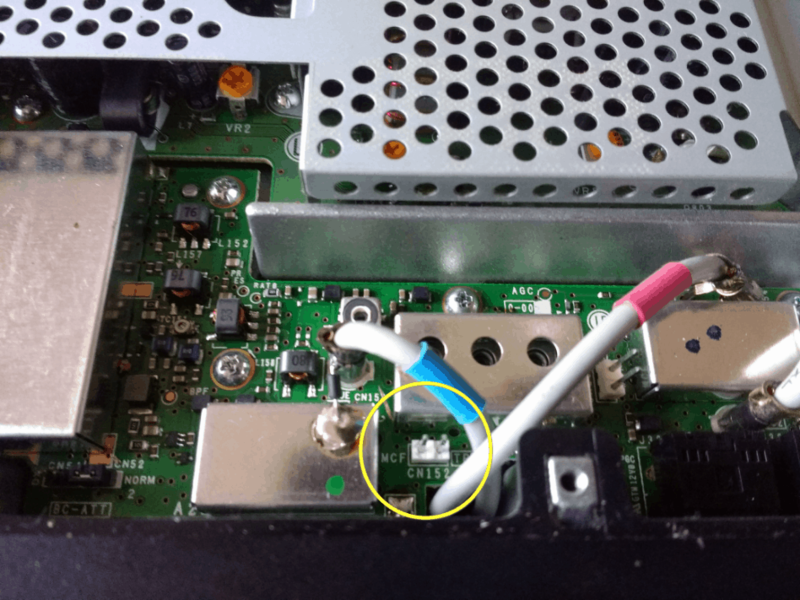 To have the SDR program to synchronize with the frequency of your radio, you also need to connect a serial cable from your TS-480 to your computer. If you do not have a serial port, you can use a USB to serial adapter. The CH340 type works fine for me on Windows 7, 8 and 10. You can test it with Kenwood’s ARCP-480 remote control program. Connect the IF tap to the RTL dongle. Then connect the RTL dongle to your PC or laptop. You can use a USB 2.0 extension cable. Keep it as short as possible to prevent voltage loss and HF from penetrating the USB cable. Presuming you use Microsoft Windows 7, 8 or 10, you need to install Zadig drivers first to get the RTL dongle to work. Then you need SDR software to control the dongle. I use HDSDR which has a special option for IF output and uses OmniRig to synchronize the VFO of your radio with that of the RTL dongle. So install HDSDR. If possible use the CAT control option by installing OmniRig. As said HDSDR will use OmniRig to readout the frequency your TS-480 is tuned to and display it on the big screen. How to setup HDSDR is quite simple. I could write down all the steps, but W5KV did it already on his blog. So take the time to read it! You should be ready by now. Enjoy your Kenwood TS-480 panadapter. This entry was posted in Transceiver by Jean-Paul Suijs - PA9X. Bookmark the permalink.